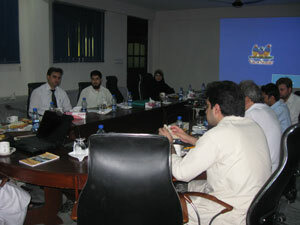 A first introductory workshop on Quality Assurance Mechanism: Enhancing Quality of Teaching / Learning and Research through Quality Enhancement Cell were held on August 20, 2014 at 4.00 PM in the Conference Hall of Abasyn University Peshawar. 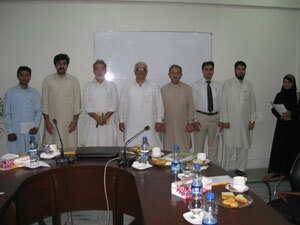 Dr. Jamil Ahmad, Director QEC, Khyber Medical University, Peshawar acted as Resource Person. The formal proceedings of the workshop started with the recitation of the Holy Quran by Ihsan Altaf followed by the welcome address by Prof.Dr.Muhammad Iqbal, Director QEC, Abasyn University Peshawar. After formal introduction of the Resource Person, participants were briefed about the objective of the workshop and importance of Quality Assessment through QEC. 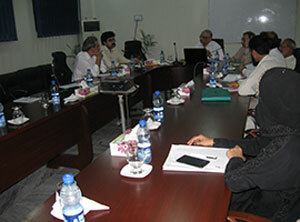 After words, Dr. Jamil Ahmad, Director QEC, Khyber Medical University, Peshawar, Resource Person, conducted the workshop covering various topics related to the establishment, strengthening of QEC through internal quality assurance & assessment mechanism. Discussion followed by question-answer session.